Novelist. Teacher. Soldier. Socialist. 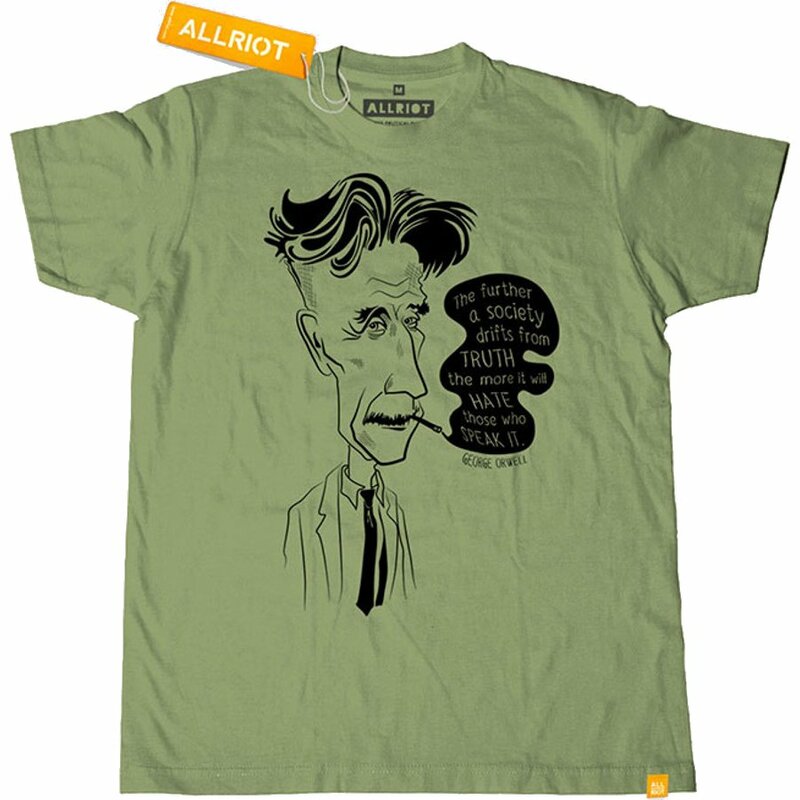 Eric Blair (aka George Orwell) was a man of many talents, but also a model of perseverance. 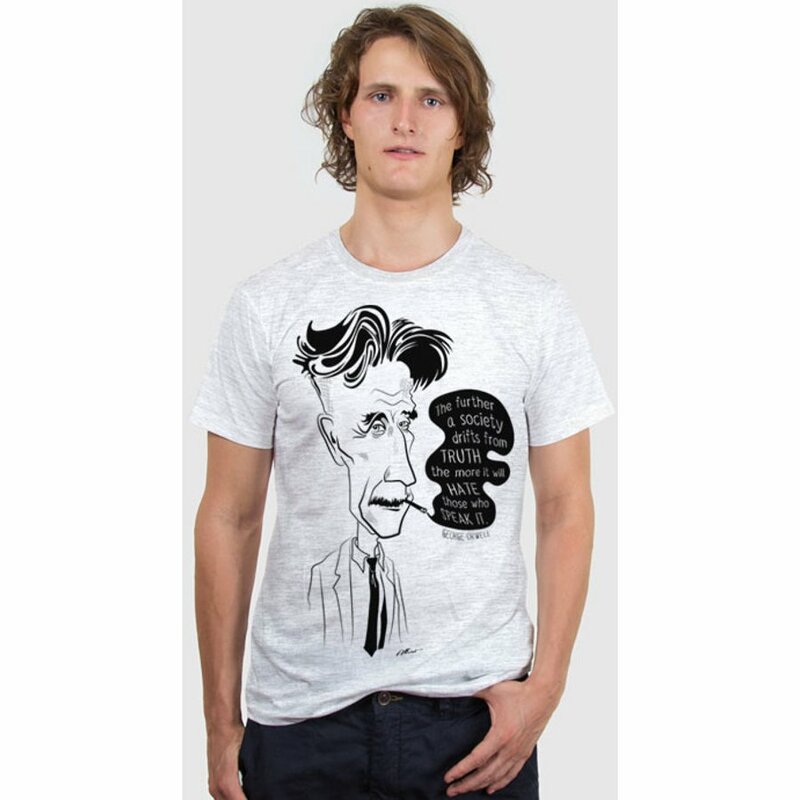 Born and raised in British India and London’s roughshod East End, scribblings in Blair’s tiny notebook became such books as Down and Out in Paris and London, 1984, and Animal Farm. Drawing from his own life struggles, his works challenged such global issues as war, poverty, and rising totalitarianism, and his literature has fascinated readers for generations. 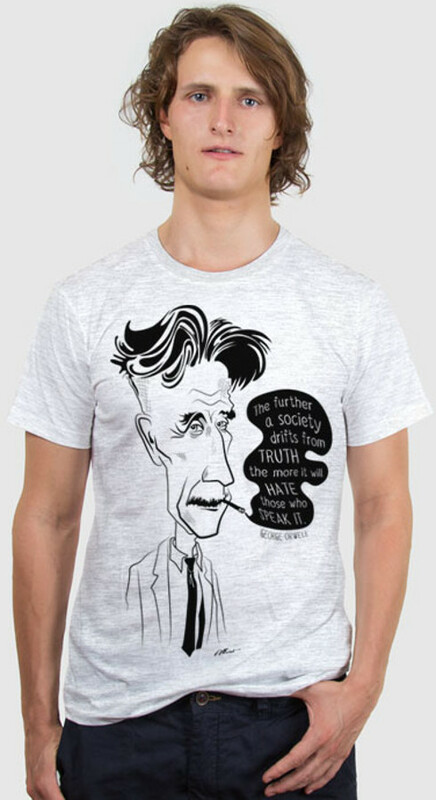 The graphic shirt features an artistic caricature of George Orwell, the man whose vision of dystopia became our reality. 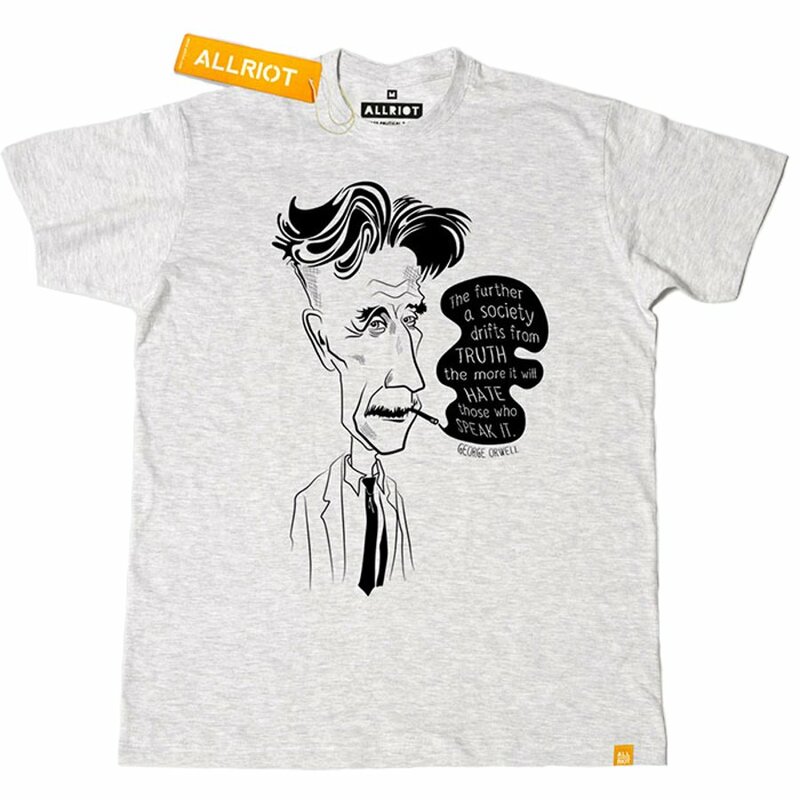 There are currently no questions to display about All Riot George Orwell 1984 T-Shirt.